We Get Going does two things: bring in more leads and convert more leads. Return on investment is our motto. Other rejected mottoes included “Hakuna Matata” (copyright), “Just Do It” (also copyright), “Curse You, Zuckerberg” (Our CTO was just angry, not actually suggesting a motto) and “YOU SHALL NOT PASS” (our CEO is not Gandalf). Pay-per-Click Advertising (PPC) is a fast way to increase traffic to your website and the number of leads. Unlike organic searches, it allows you to position yourself quickly to reach your target. With the right budget and the right strategy, you can get immediate visibility even for ultra-competitive keywords. First, we begin with an audit to obtain information about the right keywords, who your competition is, and to understand the environment of your industry. If we take on a pre-existing account we will review the account structure, keywords, ads, extensions and most importantly conversion tracking. These audits are free for our new customers. With customers switching effortlessly from one device to another, these campaigns must follow them. We Get Going makes it possible to fine tune your campaigns based on the type of device used, geographical position and even time of day. An AdWords campaign that generates clicks is good. Tracking the behavior of Google users once they hit your website is better. As we are focused on the profitability of your investment, we set up a beacon system to provide us with a detailed breakdown of actions taken by users coming in from Google, Facebook and other platforms. A client knows about you and is interested in your service or product. Great. But a detailed marketing process needs to put in place to ensure they actually buy. We Get Going develops an automated marketing process for its clients, based on what we can discover about each prospect. By measuring how the lead came to exist (through a Google search, corporate website, social networks), we can help achieve a series of specific automated steps that will turn prospects into loyal customers. 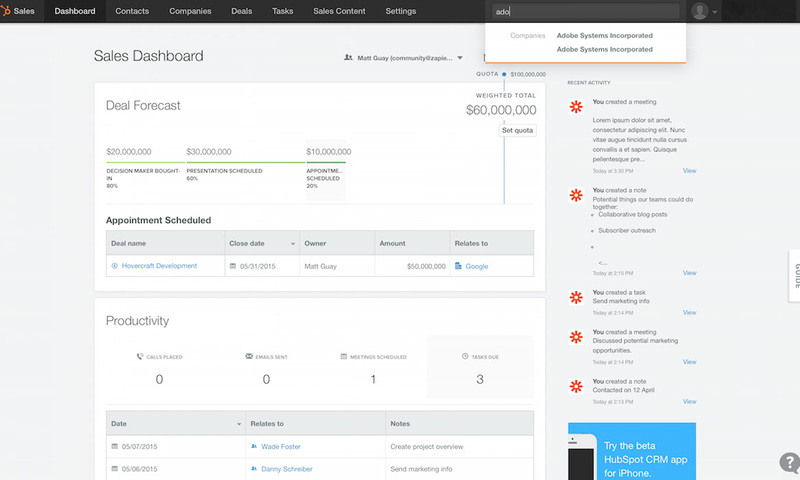 A CRM is the best tool to help your sales team achieve its goals. The security of your customers’ data is at the heart of our concerns, and we always help protect you against data theft or loss, whether internally from your employees or during external attacks. A CRM governs the synchronization between the sales process and the marketing of your business. This leads to many questions that We Get Going has a track record of solving for its clients. The wealth of third-party plugins and services can be difficult to choose from. We make a technical assessment of your needs and then present the solutions we think are best-suited. The choice of the right CRM will help you immediately understand at what stage of the buying cycle a lead is at, or how to roll out a new service in an attention-grabbing way. When a CRM is fine-tuned, it will become a seamless part of your brand image and help improve customer loyalty. The e-commerce boom may be dominated by Amazon, Alibaba, and a few others, but it has also democratized shopping in previously unforeseen ways. Niche stores pop up every day, with many living and dying on the quality of their shopping platform as much as by the depth of their inventory. Baby supplies in Mexico, insurance policies in France, expensive shoes in Brazil, we have developed bespoke e-commerce platforms for the most demanding clientele. Shopify, Magento, YoKart, we’ve mastered them all. Let us learn about your project. As a global digital agency, we are always facing new challenges from clients. Crisis communications, translation, blog content management…and much more. Don’t be afraid to ask, we could have the answer.